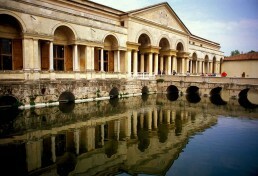 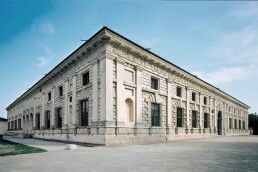 Palazzo Te is considered the masterpiece of Giulio Pippi de’Jannuzzi, also know as Giulio Romano. 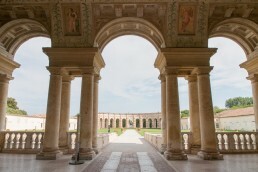 The main architecture and the palace’s decorative structure were inspired by the Roman domus, and were entirely made between 1525 and 1535 in an area right outside of the city and commissioned for the “leisurely time” of Federico II Gonzaga. 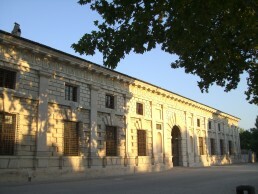 In spite of the several restoration projects over the centuries, Palazzo Te is one of the most outstanding and better-preserved Renaissance buildings of Europe. 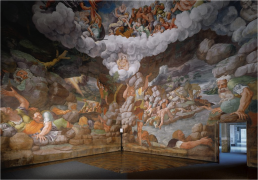 There, Giulio collected his profound knowledge of classical culture and his flawless mastery of the contemporary greats, from Raphael to Michelangelo, not to mention his ingenious, ground-breaking inventions that still impress visitors.